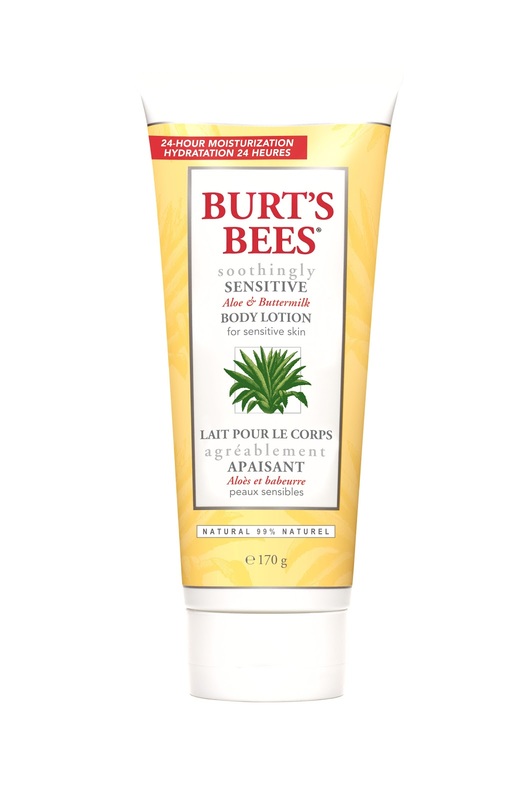 I quite like Burt's Bees. It's not a brand which features highly in my regime but I tend to be impressed when I try their products & I really like the ethos behind the brand. In particular, I'd struggle to remember a time when I haven't had a tin of their Beeswax Lip Balm within my kit, which is a great multi-tasker. I was sent their new 24 Hour Body Lotion in Aloe & Buttermilk, designed for sensitive skin, to try. 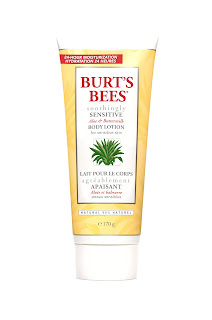 I hated the scent (weird & sickly, like a combination of honey, coconut & aloe) but loved the formula of the lotion- it's richer than I'd expect from a lotion yet easily absorbed. The marketing blurb claims that the lotion has been fomulated with "Liquid Crystal Technology" to give better penetration & absorption of nutrients into your skin and I have to say that my skin still felt nourished 24 hours later when I came to have my daily shower. I think the price of £9.99 is fair for the 170g tube and given the results, I'd definitely consider using this again- just in one of the other three scents.